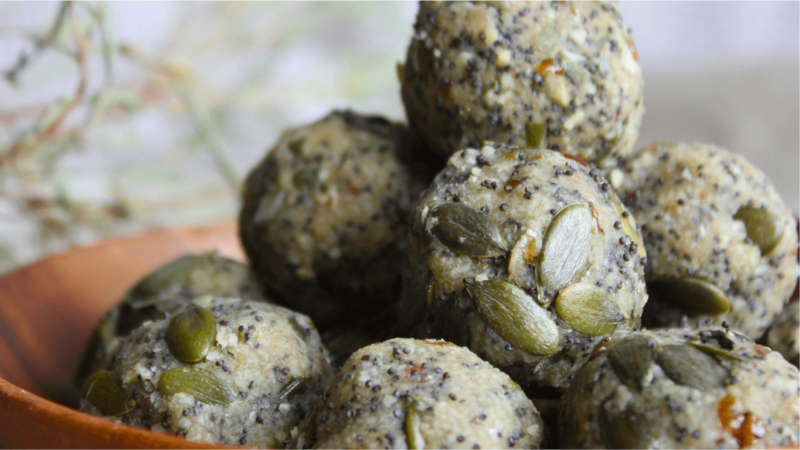 These almond, date, and poppy seed energy balls are a perfect snack pre or post-workout, or any time you need a nutritious bite on the run. Raw, gluten-free, and dairy free. 1. Begin by roughly chopping the pumpkin seeds as small as you wish. 2. Now place the ground almonds together with the Medjool date in a bowl. With wet hands mash them together. Simply squish and squeeze for a few minutes allowing the almond oils to release making the mixture bind. You may add a few drops of water if the date is dry. 3. 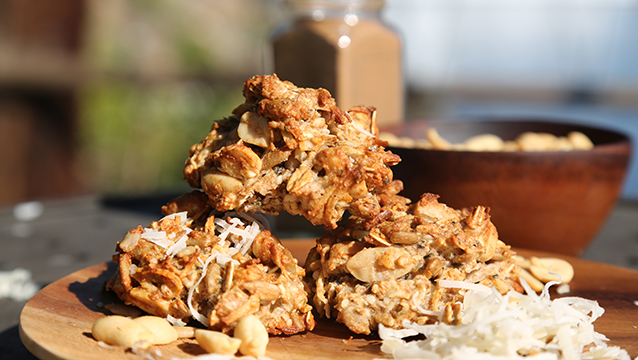 Now add the poppy seeds, pumpkin seeds, and optional protein powder and combine well. 4. Finally divide the almond dough into 5 balls, by rolling them in your palms. 5. Eat right away, or save them for later, allowing them to firm up in the fridge!